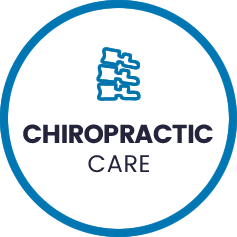 Dr. Ali Amiri has been in practice for more than 10 years, providing people of all ages with natural chiropractic care. He opened Coquitlam Family Chiropractic in 2009, conveniently located in the Royal Bank building with plenty of free parking available to our patients. In an open, inviting environment, our friendly and warm team members are here to help you achieve your health goals and eliminate any restrictions that may be holding you back. 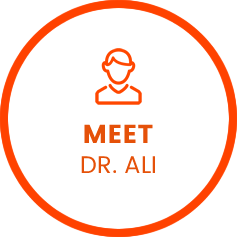 As a chiropractor, Dr. Ali is a doctor that focuses on the nervous system, which controls everything in the body. The physical, chemical and emotional stresses in life can build up and cause the spine to go out of alignment, which puts pressure on the delicate nerves around the spine. Often, the result of this pressure is different forms of pain and dysfunction in the tissues and organs. Chiropractic care restores the natural position and function of the spine to allow you to work at 100%. One of our favorite stories to tell is about a patient who developed scoliosis as a child. She was in and out of the hospital, but the improper spinal curves she had kept worsening. The medical doctors recommended she have rods put in her back to fuse her spine together. Complications arose, and the doctors told her she might not be able to work anymore. Chronic pain ensued for many years. Eventually, a friend told her about chiropractic care. She came in, was evaluated by Dr. Ali, and started care. After just a month, nearly all her pain vanished, and she didn’t have to resort to having surgery. The most incredible part is that our patients know and love the person in this miracle story—it’s our office manager, Leteasha. The good news is that most extended health insurance plans cover Chiropractic care. 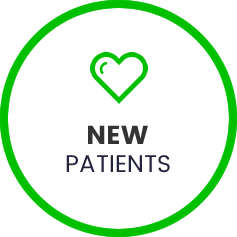 Additionally, we offer administrative and family discounts for our patients who have multiple members of the same family under care. You can stop by or contact us anytime to learn more about your options. We offer early and late opening hours to work around your busy schedule.